I met Julia Holter in Berlin’s Berghain Biergarten on a sunny Sunday afternoon. She was wearing a white Lacoste sweater with black dots and ordered plain water. Understated. Electronic Beats: May I ask where your name’s from? Is it German? 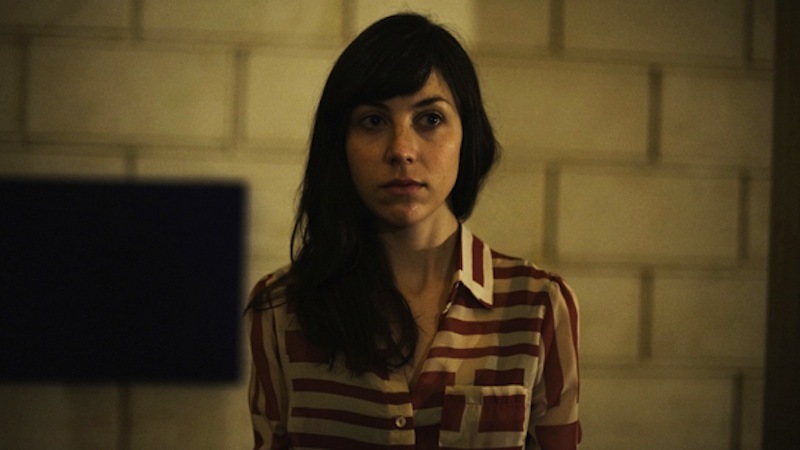 Julia Holter: No, it’s a Norwegian name. A long time ago my great-great-grand parents left Norway for the States. When they came to the US, they all changed their names into the name of the town they were from. Their name was originally something like Sigurdsson, but then they changed it to Holter, which is this little town in Norway. And I’ll be Julia Los Angeles! How’s life over in LA? There a just a lot people doing very different things. There are a lot of different parts in LA, there are so many neighborhoods. There are people doing things and you have no idea because you never meet them. And there are so many scenes, but I’ve never been involved in one particular scene. I have a lot of different friends. And your time at Cal Arts? Isn’t that a scene in itself? I do have some friends from Cal Arts, but it’s a coincidence, basically, that they all went there. For example I am very good friends with Ramona, who does Nite Jewel. But there are a lot of different types of music that I’ve been around and some of my friends really had some kind of a breakthrough within the last few years. How important is the economy for you as an artist? Nowadays everything seems linked to the economy. Does your touring have something to do with financial pressure or do you simply enjoy playing live and traveling around the world? I love performing! I think it’s an essential part of what I do. And I think recording and performing are extremely different. But ever since I started recording, I pretty much started performing as well. I think that they’re entirely different arts, they are so different. I don’t try to recreate the recording exactly. I try to do a good performance, so for me performing is essential, it’s really fun. But also tiring. Ekstasis has been out while now. Are major labels already knocking on your door? Hmm . . . I don’t really have a plan for the new record. EB: But would you fancy releasing anything on a major label? Do you mean major labels like Sony? Yes, or Sub Pop or 4AD, these kind of post-major labels with a quite mixed roster. I don’t know. But I am glad you guys are like planning it out, that’s good. You planning my progression – I like that. What I do want to be is a musician. Fully. I mean I don’t wanna be like working and teaching also. I mean, I don’t mind it ultimately, if it turns out that it’s impossible. But what I am going for, ideally, is to be a full time musician. You’re playing the .HBC. here in Berlin. Are there any plans for staying in Berlin? Hehe, no. I’d love to live here though, I have a few friends here. I love Berlin. Once I got invited by the label Monika Enterprises. Gudrun Gut had a compilation 4 Women No Cry and I was one of the four girls. That happened in 2007, we played the Haus der Kulturen and also two shows in Poland. That was just great. She’s so cool. I love her Malaria! tracks, I really wanna get in touch with her. Do you have her mobile number? Gudrun, unfortunately, didn’t pick up her phone, so together we shrugged and headed into Berghain, where the party was just getting started. One minute after we entered the dancefloor, we lost track of each other. You, however, can find Holter easily: simply send an email to community@electronicbeats.net for a chance to win one of two pairs of tickets for her show at .HBC in Berlin.